James Anderson writes from Cairo: The rising toll of civilian deaths in Cairo has led the Supreme Council of the Armed Forces (SCAF). The military in Egypt control a huge chunk of national assets, ranging from tank factories to mineral water and food processing plants. Expect more blood to be spilt as anger boils over. According to the Egypt Independent a think Tank in Brussels made a 24 page report called Lost In Translation ( a popular film with the guy out of Ghostbusters starring in it Dan Akroyd. 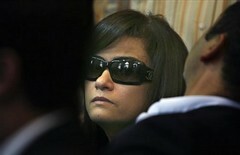 The same article says SCAF is full of actors like most politicians in power these days. As long as everyone does what needs to e done and plays there roles well then everything will be OK. According to Nick Vivarelli from Variety Egyptian Theatre and filmmakers in the Arab constituency has deliberately decided to not make a film about any revolutions. Understandably locals are not interested in this topic and comedy is very popular in Egypt now. However there is a film soon the come out (about the same time as the release of The Dictator) is a film about Revolutions, the title based on a Sufi Chant Farsh wi Ghata which means ironically in English Cover and Mattress. Could this be suggesting the real trouble is people being lazy and staying at home on their mattress or perhaps this is the protocol for an attack? First glance at the image above I saw a similarity between the leader and the rapper Snopp Doggy Dog, I think it's perhaps biased though as he waves his finger to the right, he is pointing at something not sure what, pointing up is a good sign, maybe that's where the mixup came from. On a more serious note reportedly 5 people protesting in Egypt were reportedly killed. It is reported a big march happened around Parliament. According to AhramOnline on Friday a sit in protest by 300 people that went wrong led to a number of arrests and people pu into detention and charged in a Cairo Court. So reportedly here in Britain a human chain was formed outside the a cabinet. The Protesters were curious to know what side the cabinet was on. Thanks to SCAF over 12,000 people have been either prosecuted or arrested. Protesters here in Britain related to this topic have been The Our Rights Movement The Egyptian Social Democratic Party and their Current Party. The problem seems to be paper work related about a paragraph in an article of Law number six. 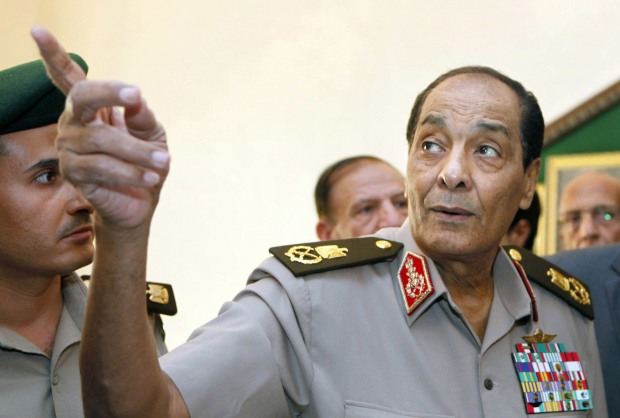 Will The Egyptian Military Hand Over Power? In Your Dreams.